The Holocaust is a significant event from the 20th century because it was a genocide that involved the execution of over 11 million people, including 6 million Jewish. Most of these people were killed in the concentration and death camps that the Nazis established as part of Adolf Hitler’s ‘Final Solution’. While there were many camps operated across Germany and Poland, the most famous was Auschwitz. Auschwitz, which is also known as Auschwitz-Birkenau, is the name for the series of camps that were operated by Nazi Germany, in southern Poland, as part of the Holocaust. First opened in 1940, it was originally designed as a concentration camp and detention center for Polish prisoners of war, following Nazi Germany’s invasion of Poland during World War II. However, it grew in size and importance and eventually became the largest camp, and consisted of a concentration camp, a death camp and a labor camp. In fact, more than 1.1 million people were executed at Auschwitz, making it the site of the largest death of people in one place. Auschwitz I was the original concentration camp and detention center that was designed for Polish prisoners of war, which included: Polish soldiers, political dissidents and influential Polish citizens. The first of these prisoners arrived in May of 1940. Upon deciding on the location for Auschwitz, the Germans then forced the local Polish populations out of the area while making the local Jewish people begin the process of laying foundations for buildings. The geographic location proved excellent for the needs of the Nazis. First, it was near an industrial sector in which many of the prisoners could be used as forced labor for the Nazi war effort. Second, the camp was situated on a network of railroad lines that allowed for convenient transport of prisoners to and from the camp. Because of this, Auschwitz expanded from just a labor and concentration camp in 1940 to also include a death camp by October of 1941. The expansion is referred to as Auschwitz II-Birkenau and included both a labor camp and death camp. The original gas chambers at Auschwitz were old brick cottages that the Nazis converted for their needs. They removed the inside structures of the cottages and filled in the windows with more bricks. As such, prisoners could be forced inside the building and gassed. The head of the SS, Heinrich Himmler, actually visited the site in July of 1942 to witness the gassing procedure himself. However, the cottages were only used until 1943, when the Nazis constructed the infamous ‘crematoriums’ as part of the main death camp. In total there were 4 crematoriums and each was capable of killing 2000 victims at a time. Essentially, they were self-contained killing floors that each had: gas chambers with air-tight doors, vents for the poisonous gas (Zyklon B) used to execute the victims, morgue, and incinerator for burning the bodies afterwards. Most of the over 1.1million people executed at Auschwitz were killed in the crematoriums. The next expansion of the camp was called Auschwitz III. IG Farben, a German chemical manufacturer, built a synthetic rubber factory near the original camp of Auschwitz in 1942 and the used the prisoners as a slave labor force. Auschwitz III eventually included the factory and a sub-camp for the over 10,000 workers. Auschwitz was controlled by the SS and at its height had over 7000 SS members as the guards and commanders. 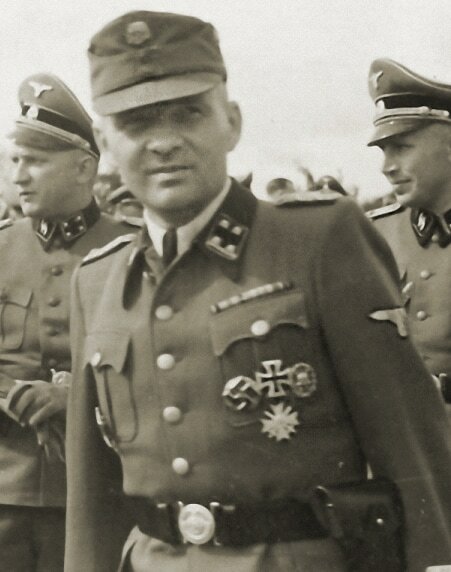 The first and longest serving commandant of the camp was Rudolf Höss. He is credited with testing different execution methods, including the use of the pesticide Zyklon B. As well, Heinrich Himmler, the head of the SS, authorized the expansion of the camp beyond just a detention center of Polish prisoners of war. 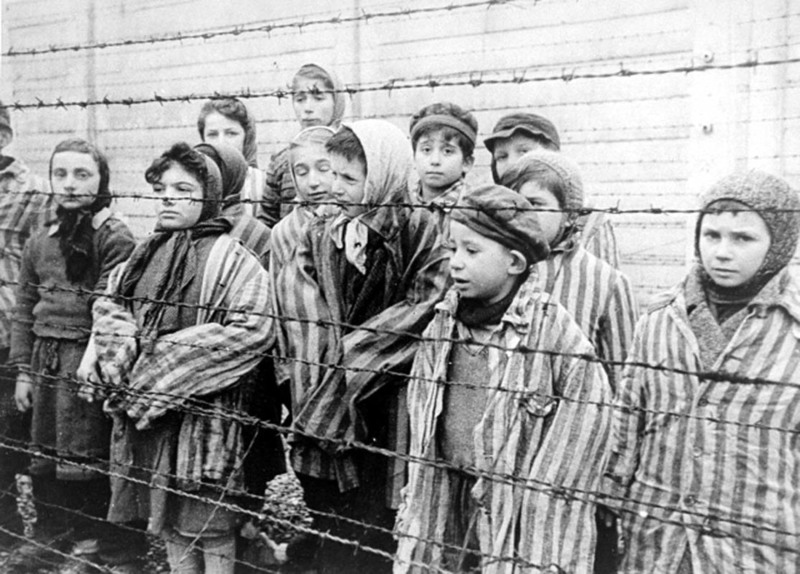 The number of victims of the Holocaust and Auschwitz grew in the early 1940s as a result of the Nazi war effort in Poland and the Soviet Union. The German forces were successful in capturing huge sections of Eastern Europe and much of the western portions of the Soviet Union. As such, the Nazis also captured millions of people that they deemed ‘undesirable’ based upon their racist beliefs and eugenics policies. 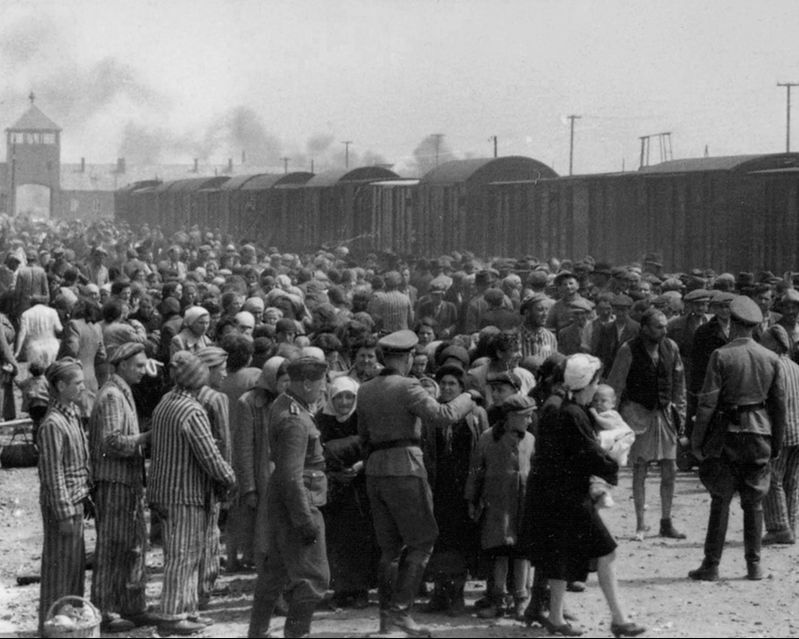 Many of these people were transported by train to the death camps in Poland, including Auschwitz. Jewish people were the overwhelming majority of the people executed at Auschwitz, but there were also others, including: gypsies, Polish prisoners of war, Soviet prisoners of war, and several other nationalities. It is difficult to determine the exact number of people who were executed at Auschwitz, since the Nazis destroyed many of the records, but historians generally agree that the total is at least 1.1 million and as many as 1.5 million. Life in Auschwitz was difficult for the prisoners, as it was in other concentration and death camps. Upon arriving by train, they faced a selection process in which the Nazis sent people to either the concentration camp for labor or to the crematoriums for immediate death. Children, the elderly and the sick were generally sent for death as soon as they arrived. They were immediately taken into the gas chambers believing they were to have a shower. The Nazis would have them take off their clothes and enter the large room with fake showers. However, instead of having a shower they were killed with the pesticide Zyklon B. After being executed, the Nazis used sonderkommando, who were Jewish prisoners which assisted the Nazis for fear of losing their own lives, to remove the bodies from the gas chambers and burn them in the incinerators. Alternatively, healthy men and women were selected for labor in the concentration camps. 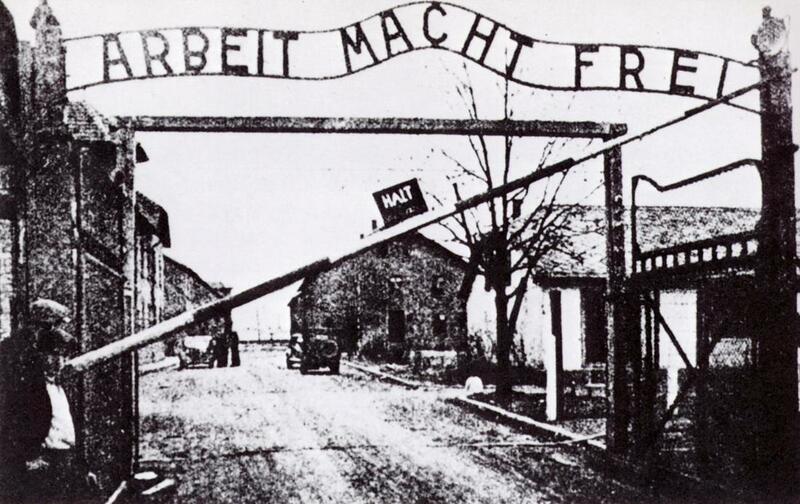 A sign over the entrance to the camp read “Arbeit Macht Frei” which translates to “work will set you free”, which was a cruel irony since people in concentration camp often faced a terrible fate. Many of them died from disease, starvation and poor treatment due to the horrible conditions in which they were forced to live, including: overcrowding, lack of running water, lack of heat, lack of food, tiring and difficult labor, and mistreatment by Nazi guards. For example, the barracks for the prisoners were simple wood or, sometimes brick, structures. 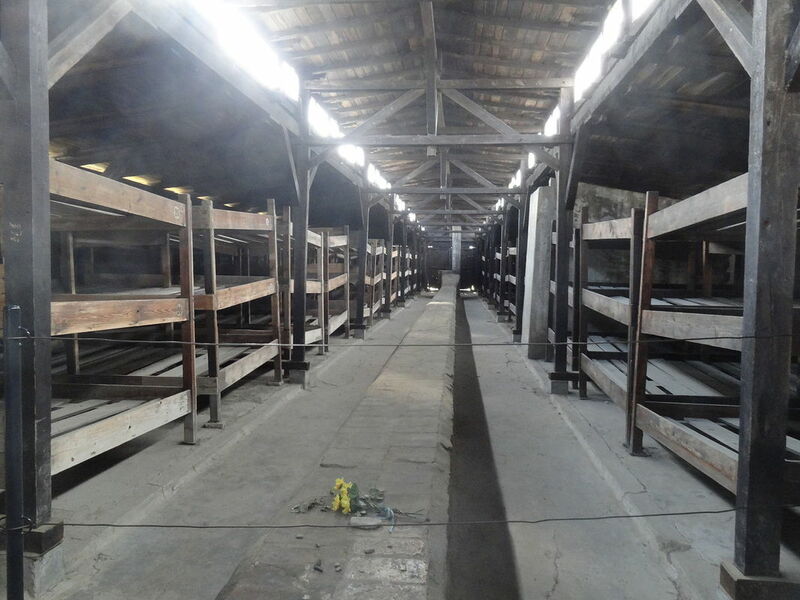 The bunks were built four levels high and the prisoners were forced to sleep with 3 to 4 people per level. A barrack typically held over 400 people inside. The cramped conditions were made worse by the lack of heating and sanitation. Each barrack was typically fitted with a coal-fired stove that struggled to properly heat the wide space of the barrack, especially on cold winter nights. For sanitation, the barracks would usually have a container in a stall on the end, but there was no running water or flushing toilets. As well, the stall did not offer any privacy from others in the barracks. Later, the Nazis had the prisoners construct a series of bathhouses and toilet barracks but these were not much better. Here the prisoners could wash, which they had previously been unable to do, and go to the washroom, but they still lacked privacy. The toilet barracks was literally a concrete bench with several dozen holes cut in the top. All the while, the prisoners were forced to labor for the Nazis for 12 to 16 hours per day. The work was labour-intensive and consisted of several different types of tasks, including: constructing more barracks, prison expansions, or work in factories producing goods for the Nazi war effort. For clothing, the prisoners were made to wear striped outfits and old worn out shoes which offered little in the way of warmth or comfort. All of this was made worse by the food that the prisoners were provided with. In the mornings, they were given a kind of tea or coffee, which was their only breakfast. For lunch, they were made to eat a watery soup and for dinner they were provided a hard piece of bread. The lack of nutritious food, mixed with the tiring work caused starvation among many of the prisoners. As well, this combined with the poor sanitary conditions to cause the spread of infectious diseases which also caused the deaths of many. Some prisoners at Auschwitz were also subjected to horrible and cruel medical experiments. 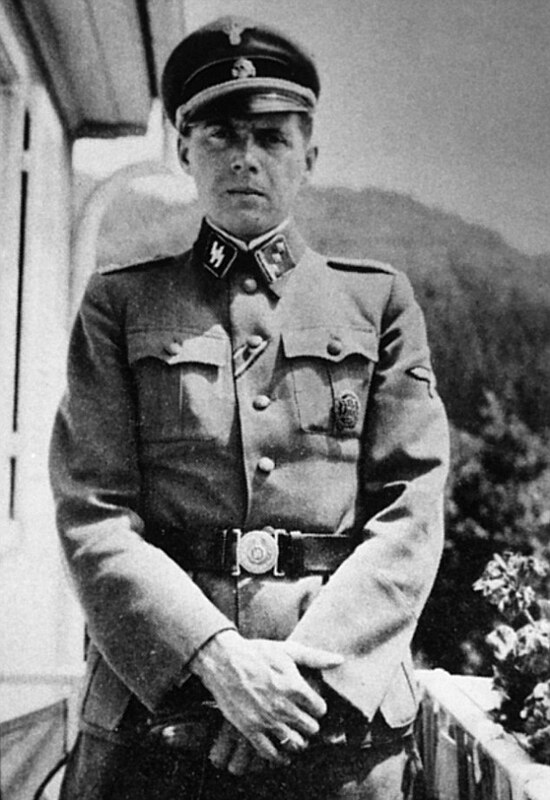 For example, Josef Mengele was the senior SS physician at Auschwitz and often carried out selections of new arrivals to find subjects upon which he could carry out medical experiments. In particular, Mengele was known for his cruel research on sets of twins at the camp. He was interested in genetics and wanted to understand the similarities and differences between identical twins. For example, Mengele supervised an operation in which 2 gypsy children were sewn together to create Siamese twins. The hands of the children became badly infected where the veins had been reconnected and they died. Other times, he injected chemicals into the eyes of children in an attempt to change their eye color. In general though, Nazi doctors were tasked with carrying out research on prisoners to better develop medical treatments for Nazi soldiers. As such, Mengele and other Nazi doctors conducted experiments testing the limits of the human body, including: isolation endurance, injections with lethal germs, and the removal of organs and limbs. By 1944, the balance of power in World War II had shifted and the Soviet Union had gained the upper-hand against Nazi Germany. Due to the failure of Operation Barbarossa, which was the German plan of attack against the Soviet Union, Soviet forces pushed their way through Poland and liberated many of the camps. As a result, Heinrich Himmler ordered the destruction of the crematoriums and all records of the prisoners in an attempt to hide the atrocities. For example, in January of 1945, the Nazi guards burned down several of the buildings and warehouses of the camp and used explosives to demolish most of the gas chambers and incinerators. Himmler then ordered the guards to kill all of the remaining prisoners so that none of them could be captured by the Soviets. Just days before Auschwitz was liberated, Nazi guards forced over 50,000 prisoners to march west into Nazi-controlled territory. Many died on the march from exhaustion, cold winter conditions, starvation and from being shot by the guards for walking too slowly. When Auschwitz was liberated on January 27th in 1945, the Soviets discovered over 7,500 sick and dying prisoners and hundreds of bodies of those recently killed. As well, the Soviets found warehouses with items from the victims of the camps, including: hundreds of thousands of pieces of men’s and women’s clothing, several tons of human hair, and mounds of eye glasses and shoes.